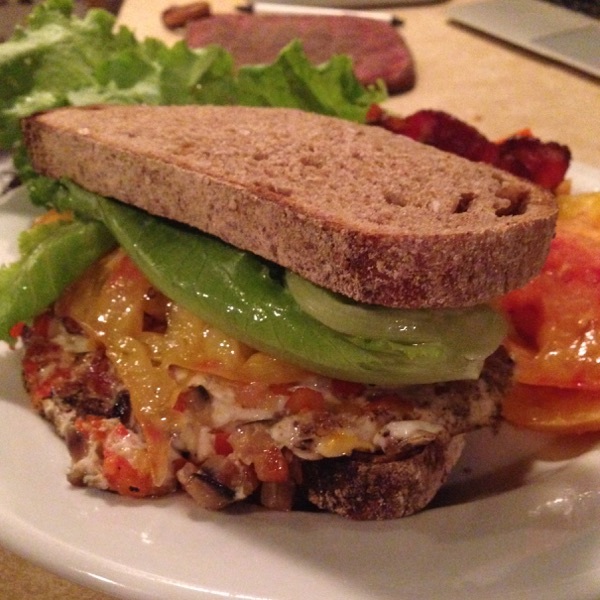 In Paraguay, I learned that any sandwich with an egg makes it a “completo.” Tinicum CSA veggies are so delicious in this BLT Completo. I’m looking forward to summer, so I can make this again. Give it try! 1. 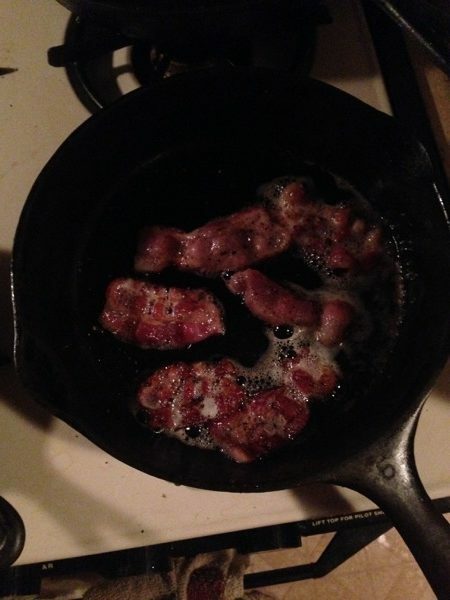 In a small frying pan, fry up the bacon. Set aside for sandwich making. 2. 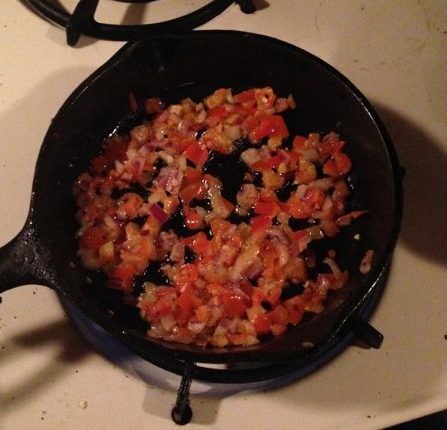 While the bacon is frying, dice the onions & bell pepper, and mince the thai pepper. 3. Begin sautéeing the onion, bell pepper, and thai pepper. 4. 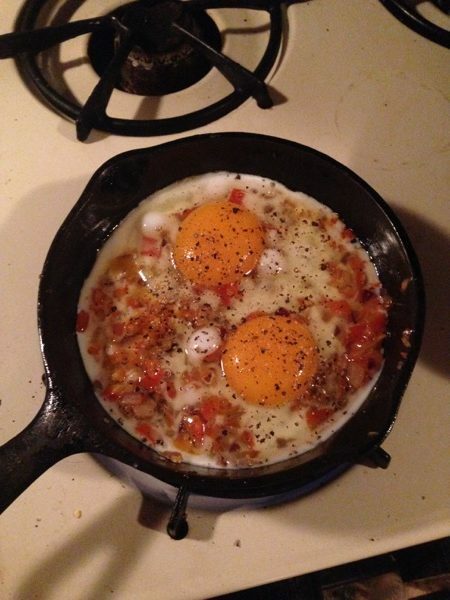 Once the veggies begin to brown (after 2 minutes or so), crack two eggs into the pan. Sprinkle a little salt on them and grind some black pepper over them. 5. 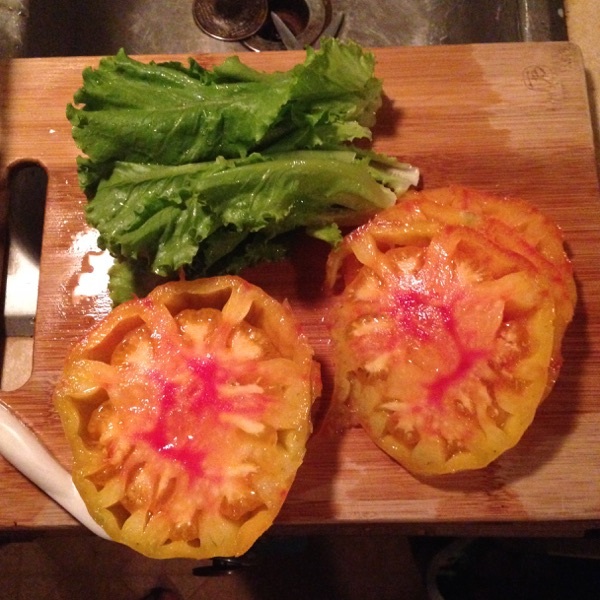 Slice your tomato. 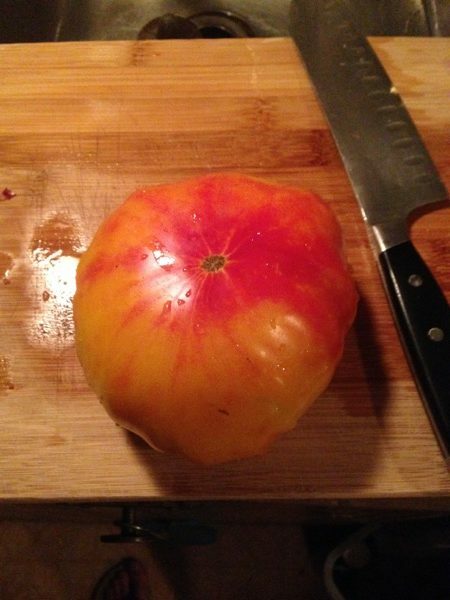 Featured here: one of our heirloom varieties called Striped German. 6. Tear a few lettuce leaves off of a head of lettuce and rinse. You’re about to assemble the BLT Completo! 7. 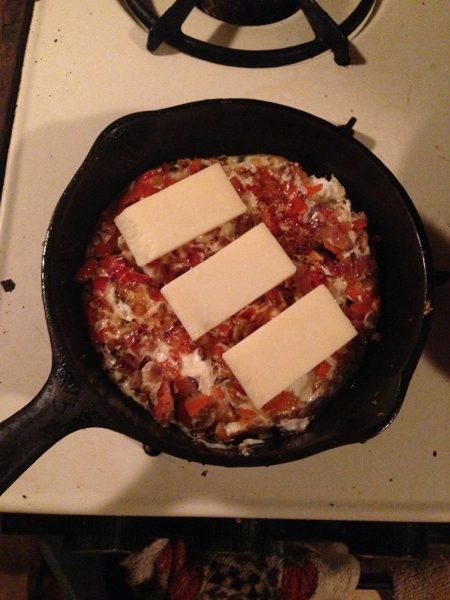 Once you flip the eggs, top them with some cheddar. 8. Toast the bread & assemble your sandwich. 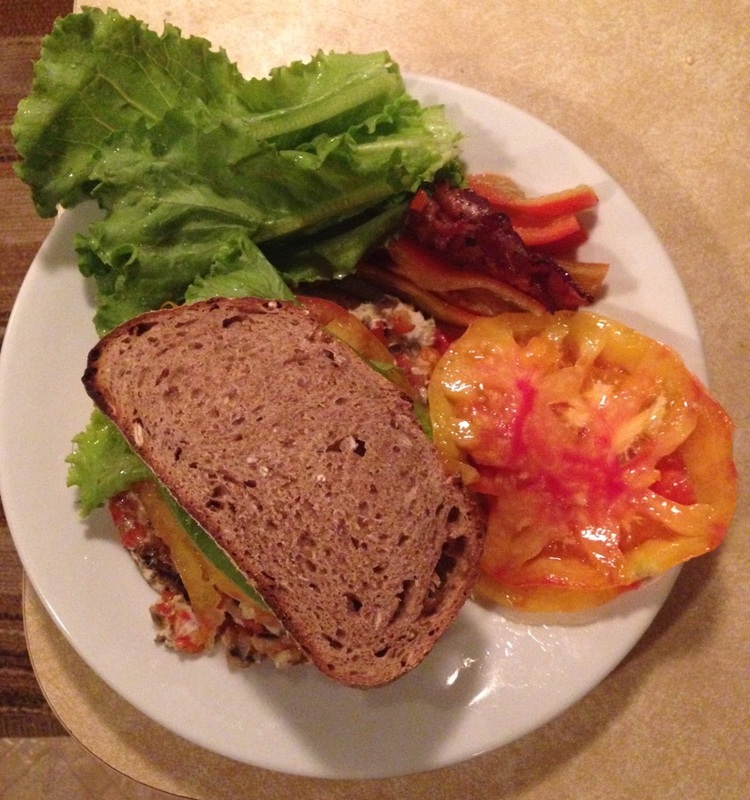 Note: Any extra lettuce, tomato, & bacon can be eaten as a side.